As a freelancer, you may find difficulties in running your small business, especially when it comes to creating and sending invoices to your customers. Managing an accounting section is one of the most daunting tasks for those who have just started their career as a freelancer. There are lots of things such as billing, quotations, discounts, invoices, etc. that you will need to consider while running your business. 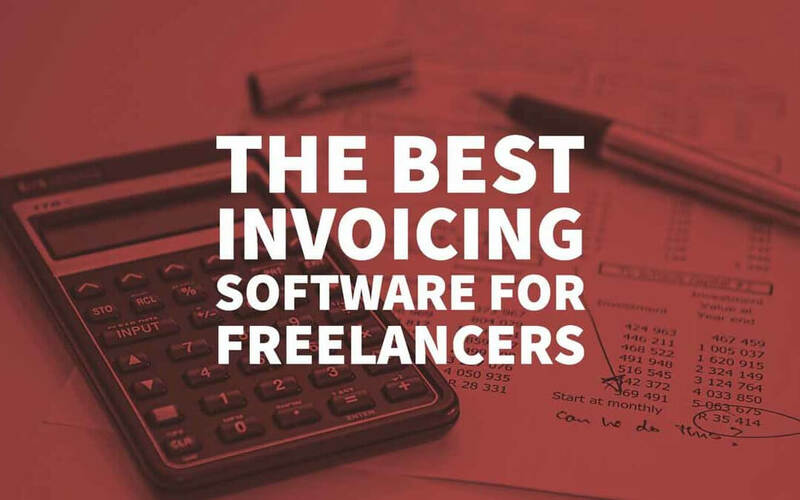 Fortunately, there are tonnes of online invoicing software that will help freelancers to create professional looking invoices quickly and easily. They can even send invoices to their customers on the go – this saves both your time and effort. 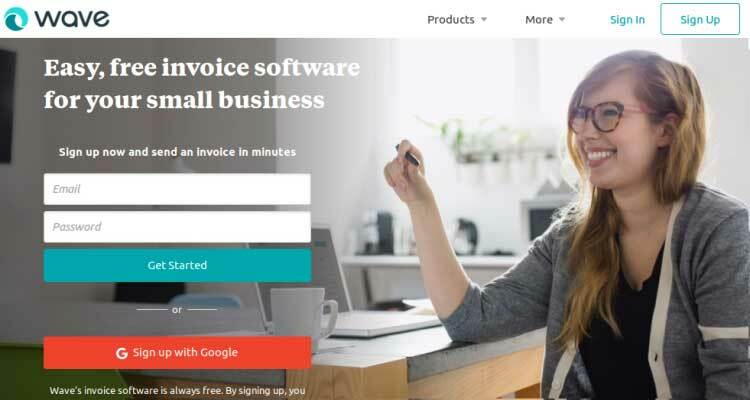 So, here in this post, we will share the best invoicing software for freelancers. All you need to do is to choose the best option according to your specific requirements. 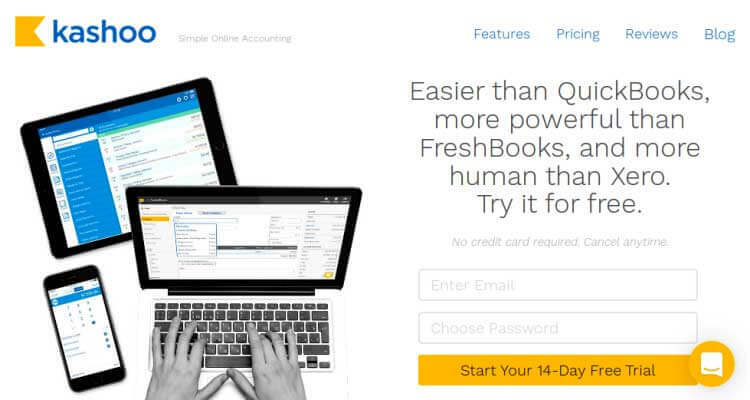 Simplify your billing and invoicing process by integrating the Freshbooks accounting software into your business. It is an intuitive and user-friendly invoicing tool that helps you generate professional looking invoices automatically within a few clicks. 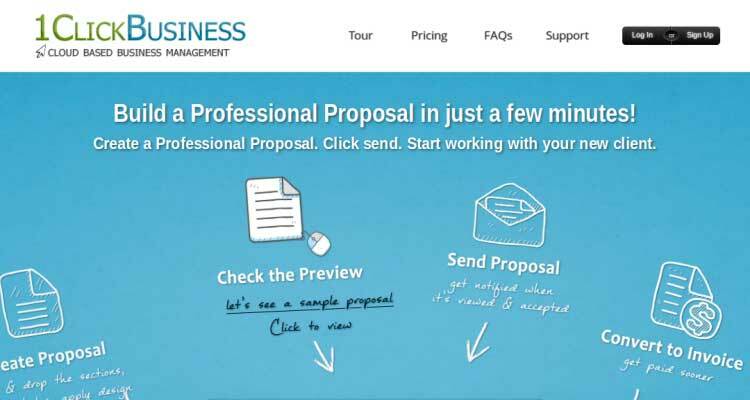 Plus, you can send invoices to your clients and customers via emails on the go. FreshBooks keep the track of your expenses as well as time to let you and your team manage their work effectively and efficiently. All you need to do is to automate the accounting tasks such as organising expenses, following up with clients and tracking down the time using built-in time tracker. This makes it one of the reliable invoicing software for freelancers. 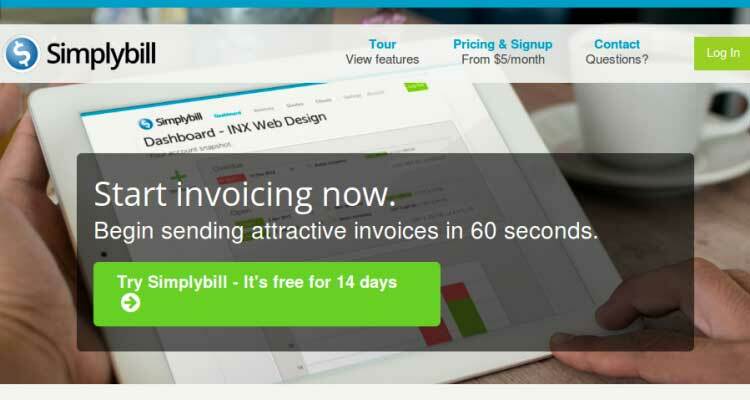 Since Simplybill is a web based invoicing software, you can easily create, send, and track invoices with ease. The tool allows you to create invoices for your time as well as the services you are offering within a few clicks. The best part about SimplyBill is that it helps you create quotations, converts them into invoices, saves them as PDF,s exports them to other file formats such as .xls. Even, you can follow up your clients for the online payments and always back up the data on the cloud. 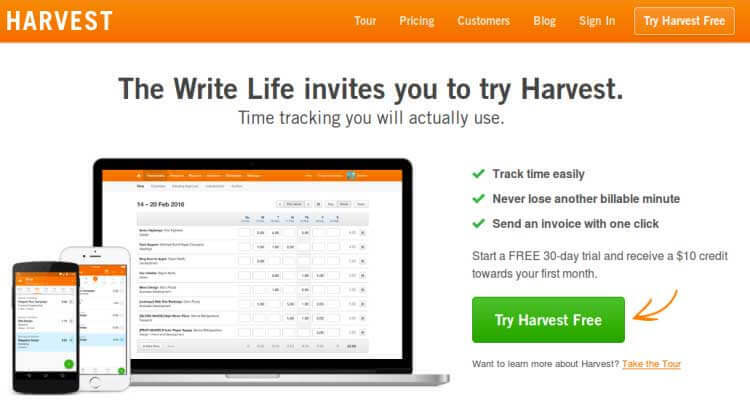 If you are looking for an interactive and user-friendly time tracking software for your business, then Harvest is an ideal option for you. It is a perfect time tracking tool that allows you to start their timer for a specific task in a single click. No matter where you are (in the office or at home), you can track your time on the go using laptops, tablets, iPhone and android devices. Plus, it auto-generates invoices of your time so that you will get paid for all your work with ease. It is a pretty easy invoicing software for freelancers and small business owners. It helps you manage all of your billing and invoicing on the fly. Zoho Invoice comes with a variety of responsive templates to let you create beautiful invoices, without any technical assistance. Even, you can send customised invoices to your clients either via mail or snail mail so that you will get paid quickly and easily. It also configures automatic invoice reminders and tracks expenses to let you manage your accounts without any heavy lifting. Plus, it integrates well with multiple payment gateways such as PayPal, Stripe, Google Checkout, etc. Creating, sending, and tracking elegant invoices become super-easy with the Invoicing Machine software. It is an ideal tool designed especially for freelancers and small businesses, who don’t have enough time as well as the budget to manage their billing and invoicing with ease. All you need to do is to create a new invoice and set multiple options such as shipping, discounts, currencies, language, taxes, etc. You can even export your invoices, templates, estimates, and other information in the XML or CSV format files at the drop of a hat. Quickbooks is one of the most selling accounting software that helps you craft, send and manage intriguing invoices at a breeze. 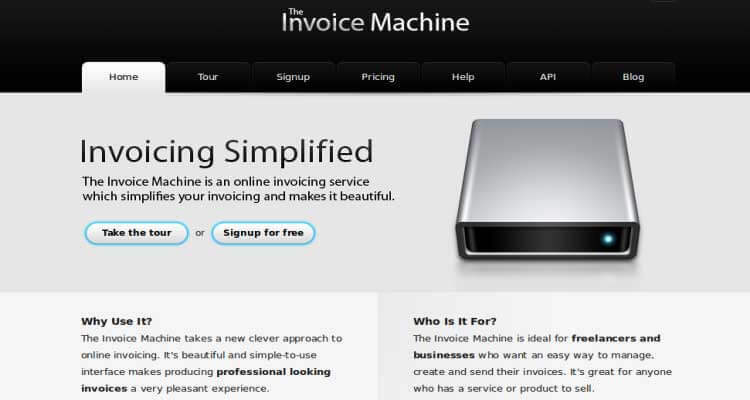 It comes with a simple and intuitive interface that lets you create beautiful invoices, without any professional skill. The tool comes packaged with a tonne of exciting features such as sending payment reminders, sending invoices via emails, monitoring, and tracking receivables, creating recurring invoices, sending payment receipts online and a lot more. This will make your job easier as a freelancer and you will concentrate more on your actual work. eBillity is the best invoicing software that comes with a plethora of features to let you create and send invoices in different formats to your clients via emails. It also keeps a proper track of both the invoices and the time spent on each task on the go. You can also generate insights reports such as expense reports, tax reports and clients reports, etc. 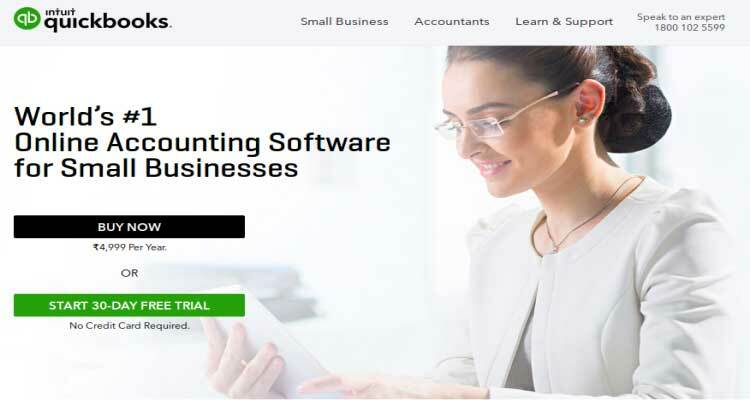 The best part is that it integrates well with QuickBooks and other project management tools to help you manage your accounting tasks with ease. Paydirt is an incredible online invoicing and time tracking tool, designed particularly for freelancers and small business organisations. It has an inbuilt time tracker functionality that lets you track the time for a specific task on the fly. After tracking your time, you can create professional invoices, customise them and send them via email to your potential clients and customers either on their PC desktops or mobile devices. Paydirt empowers you to send invoices in over 50 currencies and 17 different languages. Plus, it accepts multiple payments gateways including PayPal and Stripe to get you paid faster and easier, without any hurdle. This particular tool is created to give freelancers and small business owners an easy way of creating compelling invoices, creating taxes, tracking time and expenses and a lot more. There is also a user-friendly interface that lets you create and customise invoices the way you want, without any professional assistance. You can even preview your crafted invoices before sending it to your clients. Plus, it supports different mobile devices to make it easy for your clients to access the invoice anytime, anywhere. 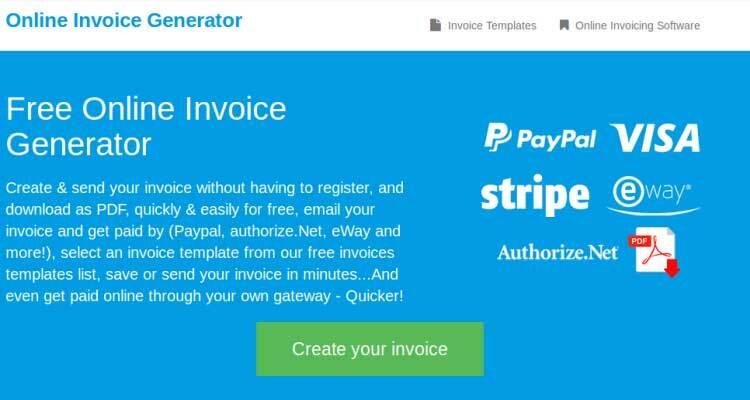 Create, send, and track bills and invoices using this super-friendly invoicing software. 1ClickBusiness offers some of the exciting features including ready-made invoicing templates, tracking status of the sent invoices, creating proposals for clients, integration with different payment gateways such as Authorize.net, PayPal, etc. and a lot more. 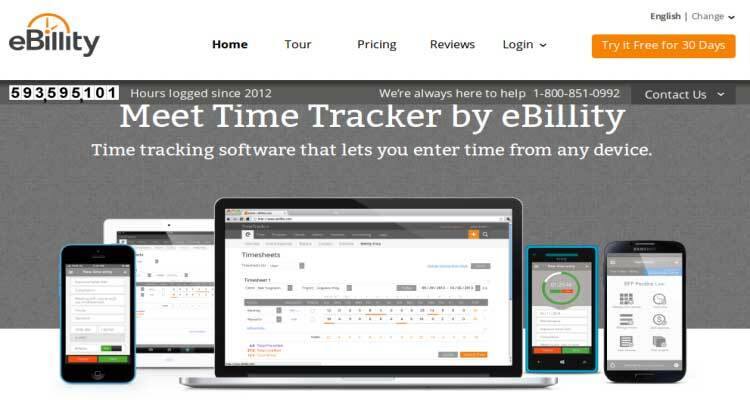 BillBooks is a feature-rich invoicing and billing online tool that allows you to create visually-appealing invoices in minutes. It is a time-saving tool that lets you manage all of your invoices on the go. All you need to do is to install the app, build and send professional invoices from your mobile device from anywhere and anytime. It helps you keep a close track on your expenses so that you can get paid faster from your clients. 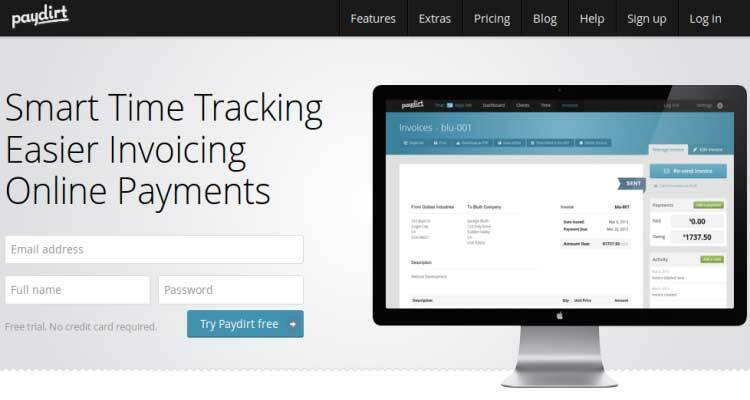 It helps you set recurring invoices and also lets you automate payment reminders in one click. Plus, incorporating multiple taxes and auto attaching them along with your products and services become super. And the best part is that it accepts multiple online payment options across the globe. Apart from this, BillBooks comes with some of the exciting features such as importing or exporting clients in CS and Excel file formats, history of past and outstanding invoices, inventory, integration with PayPal, Stripe and other popular payment gateways. Invoicely is a great way of creating customised invoices with ease. It is an ideal invoicing software that can help freelancers to craft professional invoices on the fly. It includes some dynamic options that will automatically calculate and adjust your requirements for each of your invoice in seconds. The tool comes with an inbuilt template that you can edit as per your requirement in one click. 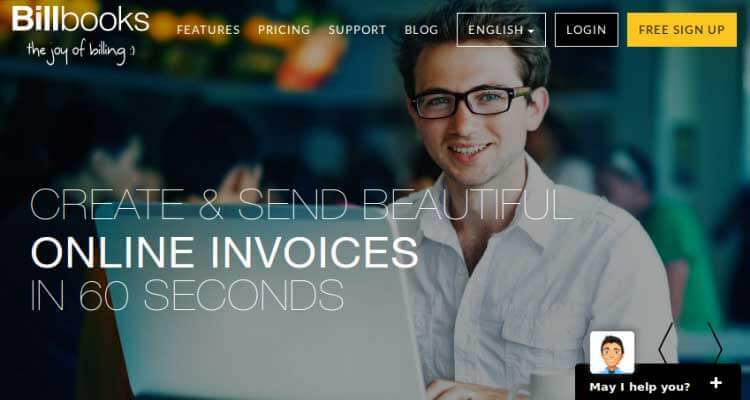 Overall, invoicely is a pretty simple and user-friendly tool for creating and sending professional looking invoices to the clients and customers. Kashoo is a cloud-based accounting software offering a plenty of rich features including creating and sending custom invoices to the clients, keep a close eye on expenses, generating financial reports such as sales, automatic backup, integrated with multiple payment gateways, support for different currencies and a lot more. The USP of Kashoo is its free, accessible and 24/7 customer support. The support is available at all the time – you don’t need to wait to get your problem solved. Wave is an intuitive and free cloud based invoicing and billing software built particularly for small businesses and freelancers. Although it is a free online tool, you’ll need to pay extra funds to enjoy its additional features such as robust customer support, close and accurate tracking of expenses and a lot more. Creating business reports and invoices become super easy with a wave. You can send the invoices to your clients on the go using your mobile device. So, it is an amazing tool for creating and sending invoices, generating business reports, tracking expenses, etc. for your business. 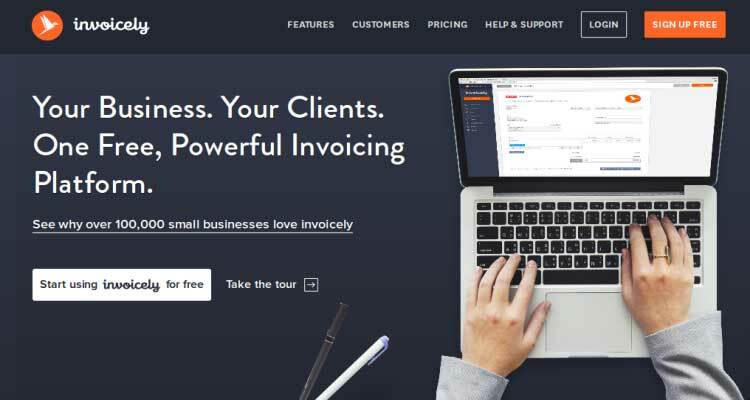 Ronin is a perfect accounting tool for freelancers and small business owners. 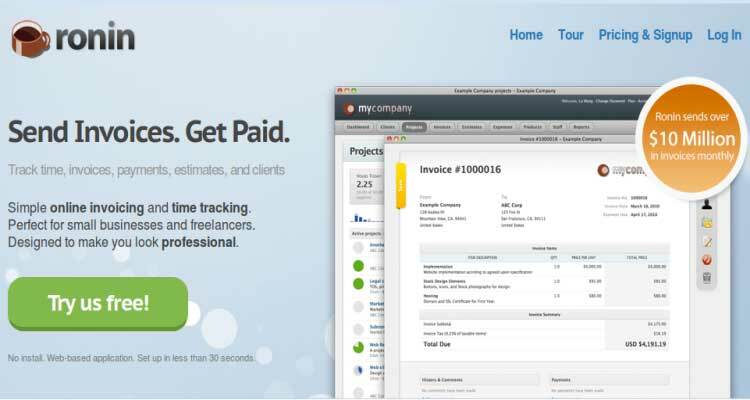 It tracks time, estimate, invoices, payments, and clients to let you pay more attention to your work. Since it is a user-friendly time tracking and invoicing tool, you can save both your time and efforts while creating and sending your invoices to your clients. Whether you use Microsoft Word or Excel, you have a quick and easy method of billing clients. While this is a pretty basic ‘no-frills’ option, it does the job and offers a number of invoice designs. Word and Excel actually share the same template setup so accessing it is as easy as clicking on ‘File’, ‘New’ and ‘Available Templates’. 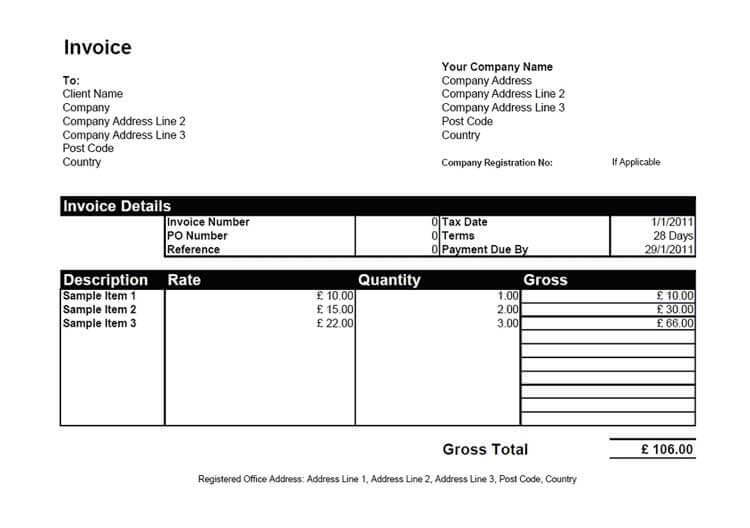 You can choose Service or Sales invoices and certain templates come with placeholder text. As you’re probably finding out, tracking time is a real pain and can actually cost you time! In many cases, you end up guessing the time and this only serves to impact your billing. Yet Freckle does so much more; not only does it help you stay on top of time tracking, it also provides analysis on your work habits. For example, you may discover that you waste time when it comes to unbillable time and tends to be less productive on certain days. 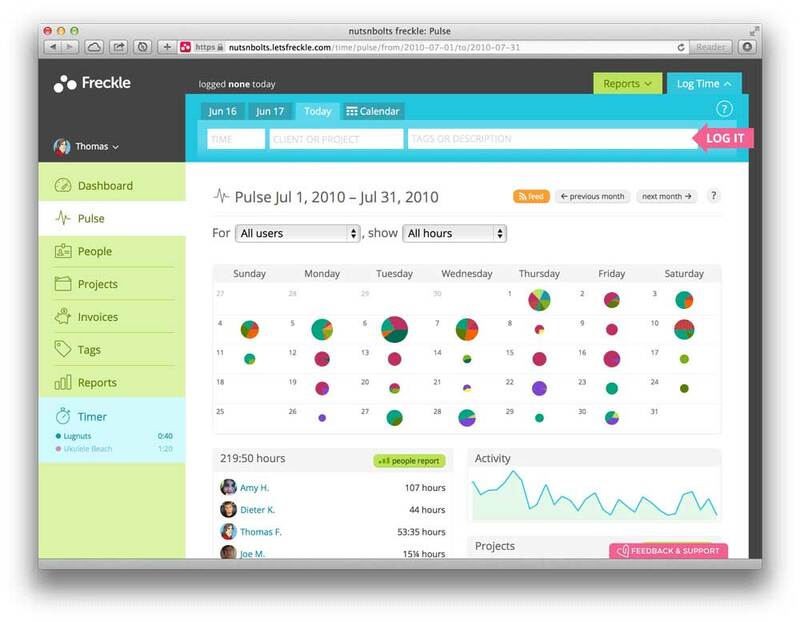 One of Freckle’s coolest features is it ‘pulse view’ which shows your entire work output on a calendar. 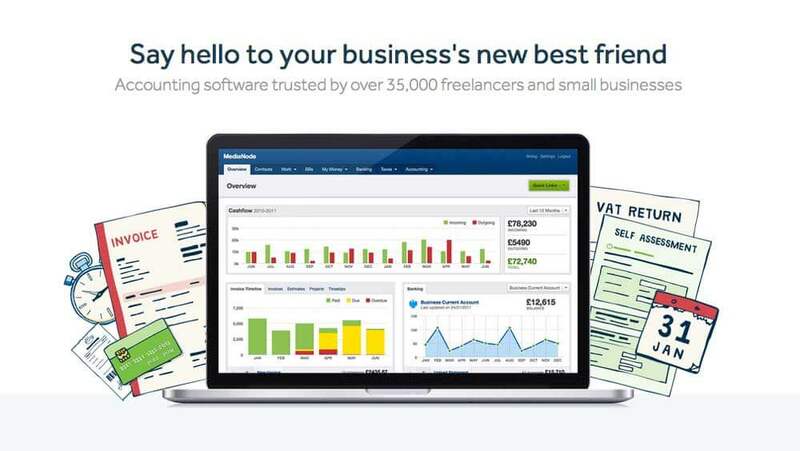 FreeAgent appears to be one of the most utilised pieces of invoicing software in the UK with approximately 35,000 users according to the company. It is an essential tool when it comes to daily administration, but it also helps you with the bigger picture; with FreeAgent, you can keep track of your project profitability and cash flow and find out which clients owe you money. Thanks to this software you no longer have to worry about tax season as it shows you how much you owe and the due date. Additionally, you can file RTI, VAT and Self-Assessment directly to the revenue service. 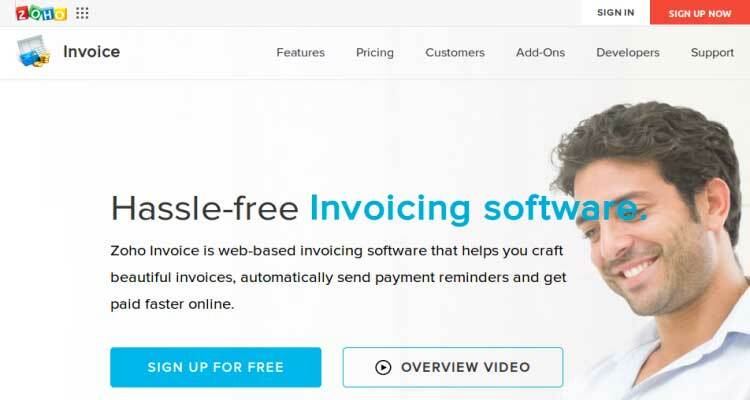 These are the most popular invoicing and billing software on the web that can help you create, send and track professional invoices in minutes. You can integrate the easy invoicing software to make your work easier as a freelancer or small business owner. Author Bio: I’m Linda Wester a prolific blogger and web developer over at custom Magento development company for more than 4 years. I love everything to do with web development and my passion revolves around creating cool websites for businesses. To keep up with my latest publications just follow me on twitter. You might want to add BillingEngine to that list. Thoroughly recommended! I have Apptivo over 2 years, this was simple and also affordable invoice software. It allows recurring, several currencies, multiple payment methods and instant invoices. If you are looking for affordable stuff I think this will do. Nice tools. I do some freelance work on fiverr, and i had always wanted an invoicing tool that met my needs. I agree, but this is a list of software for freelancers who want to go with that approach – which works really well. We are currently using http://www.cantorix.com. They are still new, but their interface is easy and simple to use. The application also sizes to any screen and works on most platforms. No apps to install. The only downside is that they dont have timesheet tracking. Thanks Jesse – your product looks amazing, and I was genuinely considering setting it up just to try out for a while. I use Billings Pro currently, which is great, but does FusionInvoice have any kind of a timer system for hourly billing built in? I use Invoicea (http://www.invoicea.com) it’s completely free and has time tracking, multi-currency, etc. Maybe you can check it out. I run my entire business with SideShark (http://www.sideshark.com). It combines accounting with contact management and tracks everything: clients, prospects, invoices, proposals, income, expenses. It’s an app that you download onto a MacBook or laptop, so there are no monthly charges. They have a free starter version but the pro version is the best $69 I’ve spent on my business – and it took me less than an hour to learn. Highly recommended. People talk about so many tools and most of them just eat money. I had used various billing and invoicing software’s in the past few years and though some of them are effective, most of them just consume money. Most might oppose my thoughts here, but its all from the years of experience being a project manager for an SMB. I always prefer using a free tool for a while before we make any kind of decision. Good that we found Zylot, which is an completely free and effective billing and invoicing tool. I would say that its a perfect tool for all the startup’s, who will probably have no or very less money to invest on software’s and tool’s. Does anyone have suggestions for an invoicing software that also does time tracking and is affordable ($10/month)? Check Harvest above ( https://www.getharvest.com/pricing ) who actually have a FREE tier for upto 4 projects I think. $12 a month is pretty reasonable too. Thank you- Do you have any experience with accountsight (www.accountsight.com) ? I haven’t heard of it actually, have you used it/do you use it? 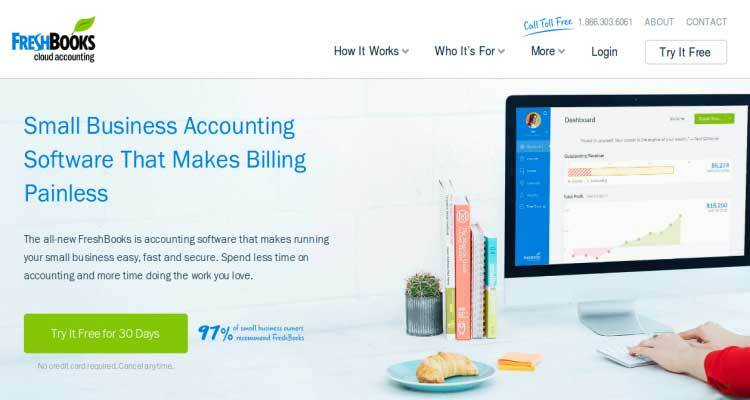 Just saw this post while hunting around– accountsight is both time and billing, works with paypal and quickbooks, cheap (unlike some of the others out there), good invoicing–works great. I have been using SideShark for a few months. It is specifically for freelancers and, in addition to invoicing, does bookkeeping. Makes it easy to track my clients and projects. Very happy with it so far. I do some freelance work with clients from all over the world and have to issue invoices daily. InvoiceOcean (http://invoiceocean.com) has a wide range of available languages and lets me issue bilingual invoices with any world currency that are automatically converted. It fits my needs perfectly. I have been using Finnish software called Zervant. Nice UI and packed with features that I needed such as time tracking, billing (electronic and even paper version their partner will send), costs etc. You should of course check first how well do they support special regulations in your country. It does look good, thanks for the tip Tatu – going to try the Free Trial and see how it compares to Billings pro. Pricing is good too! Invoicera also offers instant invoicing with multi-currency & multiple languages support. It has more than 20 payments gateways that one can choose from. I am using Invoicera since 2009. Great experience – great journey! QuickBooks Online has very nice invoice and estimate features built-in, too.